Sold singly or as a basket of 36 pieces. 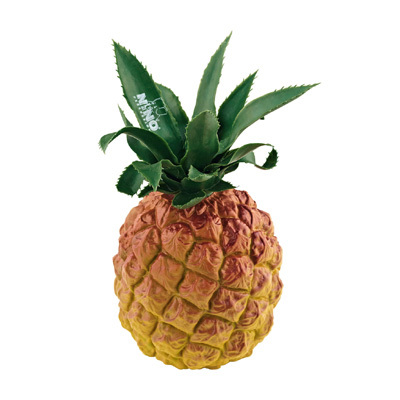 Pineapple Shaker (19 cm tall) now available to order seperately. The NINO® Fruit & Vegetable Shakers are made from a high quality plastic material filled with a specially nice sounding substance. NINO® Fruit & Vegetable Shakers have been tested for saliva resistance and can therefore be given to toddlers without any worries. 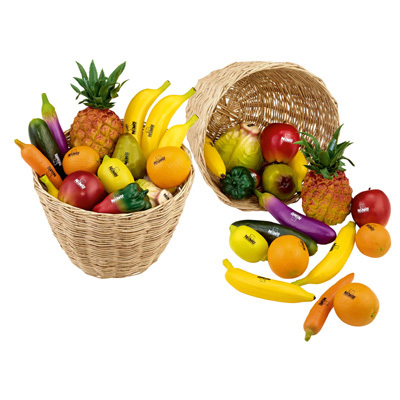 Sold singly, or as a basket of 36 pieces. Designs vary.